Daniel Barker LDS Author: What’s in a Name? 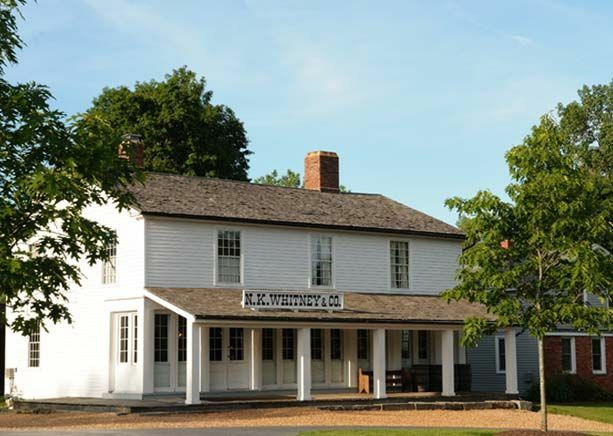 Have you wondered why Joseph Smith chose to name the School of the Prophets that was housed in an upper room at the Newell K. Whitney store in Kirtland, Ohio the School of the Prophets? The growth of the population in Provo was so fast at that time, Brigham Young told the Saints at the dedication of the original tabernacle that they had already outgrown the building. It wasn’t until the late 1800’s that a second Provo Tabernacle (the one that burned down in December 2010 was built, and the two buildings were used side by side for 30 years. Prior to being torn down in 1919, the first tabernacle or “old meetinghouse” was used as a gymnasium and then abandoned.